The Planning a Digital Communication Strategy credential sits within the Digital Literacy stack. This stack is designed as a tool to support lifelong learning; to prepare you for living, learning and working in a digital society. Don't compromise opportunities with a lack lustre digital presence. 70% of employers are checking candidates social media profiles before hiring. Your online presence, which includes your social media profiles are the first place a prospective employer checks to find out more about you, so it pays to be three steps ahead. This course helps you to target social channels where your audience is present and to plan a compelling digital presence, using a number of online platforms. The skills the course facilitates are directly transferable to promoting a small businesses opportunity, a personal project, or indeed to plan an employer's online communication strategy. 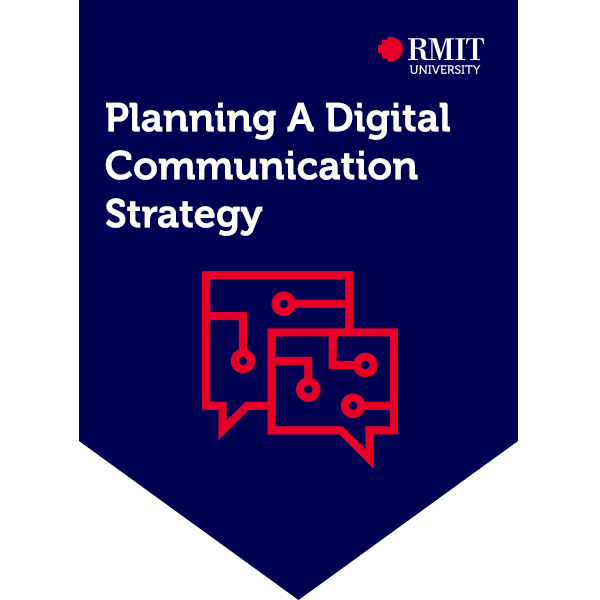 By completing a digital communication strategy and various online assessment activities, the earner of this credential showed an understanding of how to create an effective online communications plan.